TEFL Flashcard Games for Young Learners: True or False? So unfortunately I’m going to have to take this post down because TEFL Flashcard Games for Young Learners will soon be published on the kindle. I’m all for free sharing but rules are rules and if I leave it up here it’s a breach of contract. 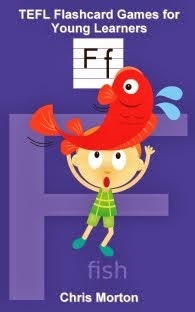 UPDATE: TEFL Flashcard Games for Young Learners is now available. Click here for the link.